Due to the electronic nature of our products and the fact that they cannot be "returned," The-Digiterati Academy Limted and EVERY product it sells has a strict no refunds policy. If you are dissatisfied with your purchase for any reason, you will be able to cancel any future payments as long as you submit cancellation request at least 48 hours prior to the payment processing date. We cannot guarantee your cancellation request will be processed in time if it occurs within 48 hours of 12:00am GMT on the billing date. The billing process is automated, but the cancellation process must be handled manually. There will be no partial (or prorated) refunds on monthly OR annual payments. Cancellations will be effective once the cancellation request has processed. 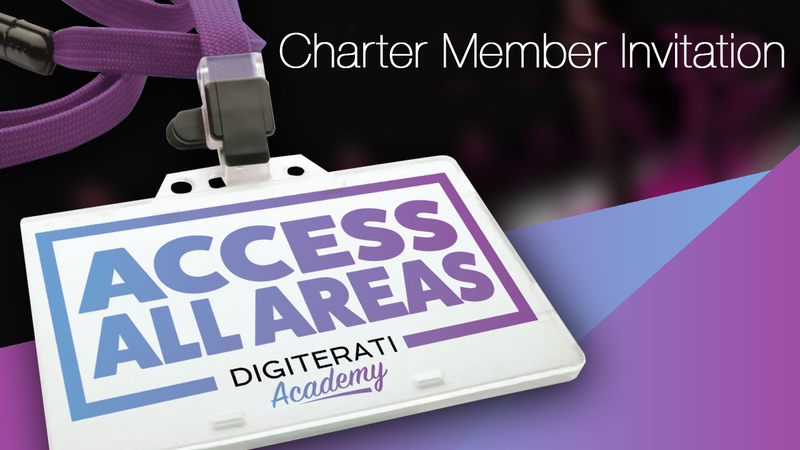 You will be able to log in to the Digiterati Academy membership area until the end of that billing cycle. If you did not submit your cancellation request in time and the current month's payment has already processed, we will not issue a refund for the current month or reinstate your membership until the next billing cycle. We highly recommend that you take the time to decide if joining Digiterati Academy AAA Subscription is right for you at this time before making the decision to purchase. If you cancel and then decide to rejoin Digiterati Academy AAA Subscription again at a later time, you will be reinstated at the current rate, regardless of any special offers or discounts you received in the past. Digiterati Academy AAA Subscription is for an individual user only. If you wish to have access for multiple users please consider one of the AAA Team options. Please contact us for pricing. Please note that if we discover inappropriate use of an individual user login your subscription will be immediately suspended and no refund issued. 14. These terms and conditions and the relationship between you and The-Digiterati Academy Ltd shall be governed by and construed in accordance with the Law of England and Wales and The-Digiterati Academy Ltd and you agree to submit to the exclusive jurisdiction of the Courts of England and Wales. 15. Nothing contained in these terms and conditions shall affect your rights under the Consumer Rights Act 2015.